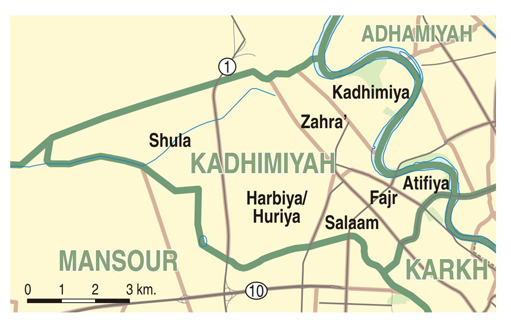 The Jaysh al-Mahdi (JAM, جيش المهدي) militia emerged in 2003 as a security guarantor in Sadrist-dominated neighborhoods. The militia also defended Sadrist political institutions and Muqtada’s interests. A commentary on the recent operations against Jaysh al-Mahdi militias in Basra and their effects in Baghdad. In a new AEI report, ISW President Kimberly Kagan, Frederick W. Kagan, and Danielle Pletka present empirical evidence of Iranian activities in its immediate environs. PowerPoint Presentation by Kimberly Kagan as part of the report, Iranian Influence in the Levant, Iraq, and Afghanistan at the American Enterprise Institute. This document contains graphs and charts released by MNF-I and MNC-I regarding violence in Iraq.